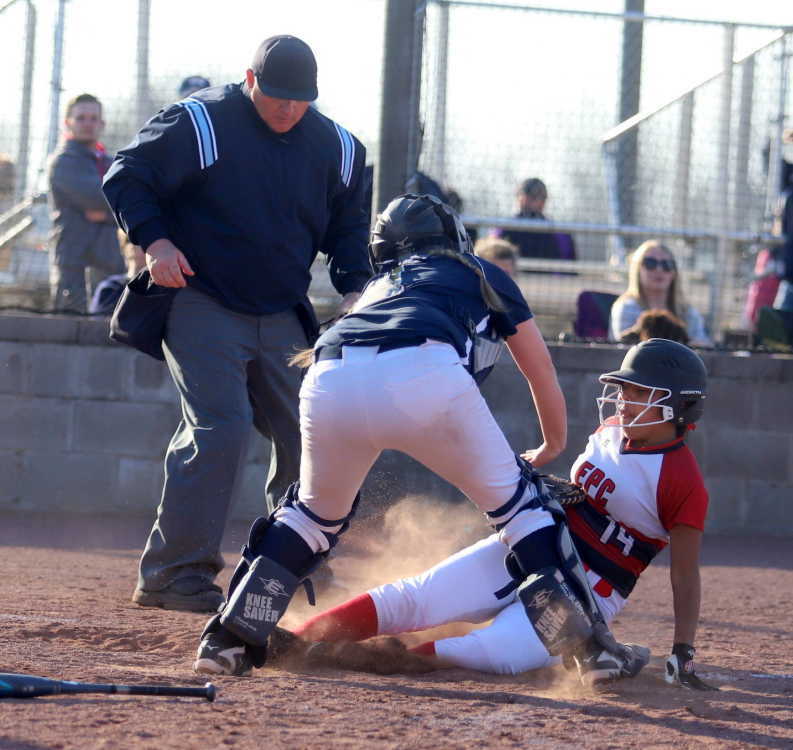 EPC scored three runs in the fifth inning to break a 2-2 tie on their way to a 9-2 win over conference rival Marked Tree this past Tuesday in Lepanto. Ally Byers led off the game with a single for the Lady Indians as Brooklyn Blansett followed with a single sending Byers to third. Harley Daniels singled to score Byers making it 1-0 Marked Tree as Blansett had to wait to see if ball was caught and was forced out at second base. Shira Hendrix came in to courtesy run for Daniels as Sydney Rothcheid drew a walk. Katherine Hobbs grounded out scoring Hendrix to make it 2-0 Lady Indians before Alana Williams struck out for the third out. Keragan Gordon reached on an error leading off for EPC as Zoe Constant struck out. Meagan Allen reached on a fielder’s choice forcing Gordon out at second before Mayce Brewer struck out looking to end the inning with Marked Tree up 2-0. Shelby Tacker lined out and Savannah Swink look at strike three before Angel Barnes singled. Byers reached on an error as Blansett struck out for out number three. Emili Mangrum singled leading off the bottom of the second inning for EPC as Kaylee Hood laid down a sacrifice bunt moving Mangrum to second. Bre Ward struck out, Mangrum stole third before Abby Martinez drew a walk. Mangrum scored on a passed ball to make it 2-1 Lady Indians as Jordyn Brewer struck out to end the inning. Complete game story in April 4 PCDT!